Eight writers. Eight short plays. Five Actors. Three directors. Three Producers. One Theme. 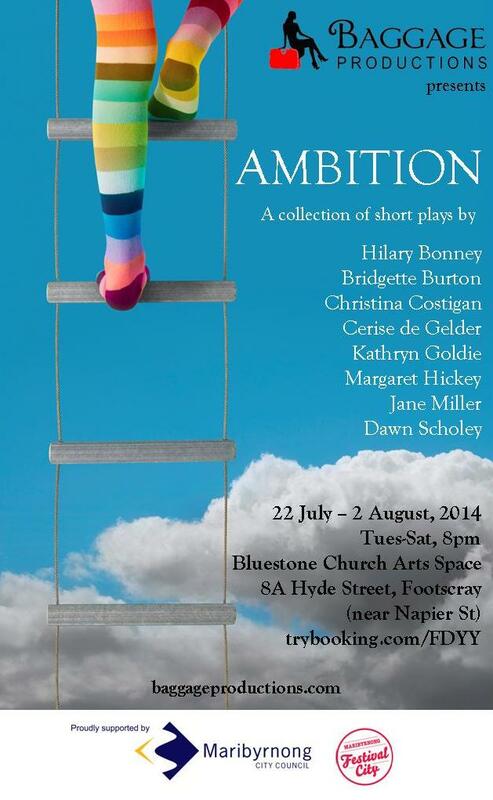 Because we put our money where our mouths are and try our darnedest to help female playwrights, we brought you “Ambition”. 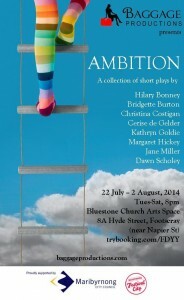 We commissioned 8 brilliant female playwrights to ruminate on the theme of “Ambition”. We had 5 wonderful performers and 3 excellent directors to interpret their work.